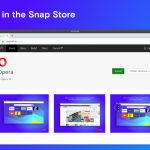 Opera 19 Developer is here! 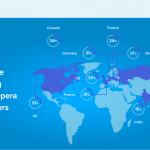 We are ready with the first Opera 19 developer build. Why don’t you give it a go and see if you like it? Your feedback is always appreciated. There is a new option ‘Advanced settings’ under opera:settings-> Browser. It controls ‘Use hardware acceleration when available (requires Opera restart)’ under System and ‘Disable tab bar’s top spacing when browser window is maximized’ under User Interface. More options for power-users will be introduced over time.